Joint Pain oilJoint Pain oil . 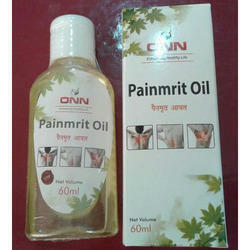 Painmrit oil, Painsirtaj oil. An ayurvedic proprietary medicine. Tagar (Valeriana wallichi DC) Rz. Q.S. gentle massage or as directed by physician. moisture & Direct sun light.